Darrell is a top Melee Samus player from Northern California. 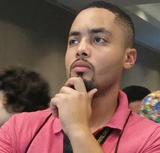 He was previously ranked as high as 5th on the NorCal Melee Power Rankings. SCSA West Coast Circuit #1 December 6th, 2008 25th ? ? This page was last edited on December 9, 2018, at 16:32.